Buildable, seamless coverage with a beautiful-looking finish is easily yours with oil-free 4-in-1 Liquid Foundation 14-Hour Wear Foundation SPF 15… it’s an all-in-one skincare and makeup must-have that’s in it for the long haul to help keep you looking flawlessly fresh. How long can you go without a touchup? A few hours? Until lunchtime? 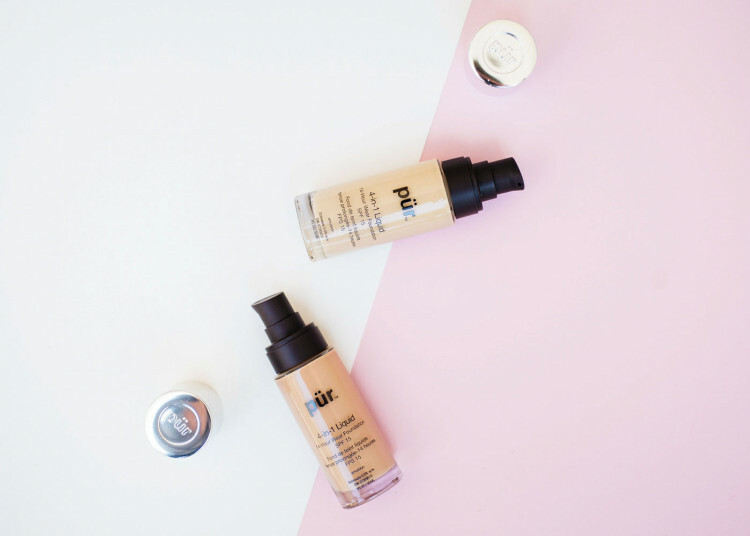 With PÜR's 4-in-1 Liquid Foundation with SPF 15, you get hours of uninterrupted complexion perfection. Lightweight and oil-free, this dermatologist-tested formula offers all-day true color that won't smudge, rub off or fade. Enriched with age-defying Ceretin Complex, this foundation revelation draws vital moisture to the skin for a look so flawlessly fresh you might forget you're wearing makeup. Application: Smooth 4-in-1 Liquid Foundation over clean, moisturized skin or face primer using the Skin Perfecting Foundation Brush* or fingers. Build coverage as desired. For a flawless finish, use the Chisel Brush* to apply 4-in-1 Pressed Mineral Makeup Foundation with Skincare Ingredients across forehead, cheeks, nose and chin. Directions: Apply liberally 15 minutes before sun exposure. Use a water-resistant sunscreen if swimming or sweating. Reapply at least every 2 hours. Children under 6 months: ask a doctor. Sun Protection Measures: Spending time in the sun increases your risk of skin cancer and early skin aging. To decrease this risk, regularly use a sunscreen with a Broad Spectrum SPF value of 15 or higher and other sun protection measures including: Limit time in the sun, especially from 10 a.m.- 12 p.m. Wear long-sleeved shirts, pants, hats and sunglasses. For a glowy look, hold Miracle Mist Hydrating Spray* 8-10 inches away from the face, with eyes closed, and evenly spray 2-3 pumps after makeup application to set the face. 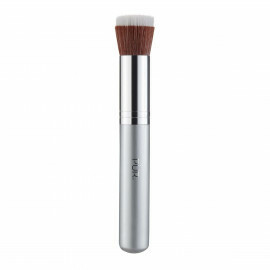 Use the Skin Perfecting Foundation Brush* to apply 4-in-1 Liquid Foundation across forehead, cheeks, nose and chin. Apply Disappearing Ink Concealer* under the eyes. Use the Skin Perfecting Concealer Brush* to blend for a flawless finish. 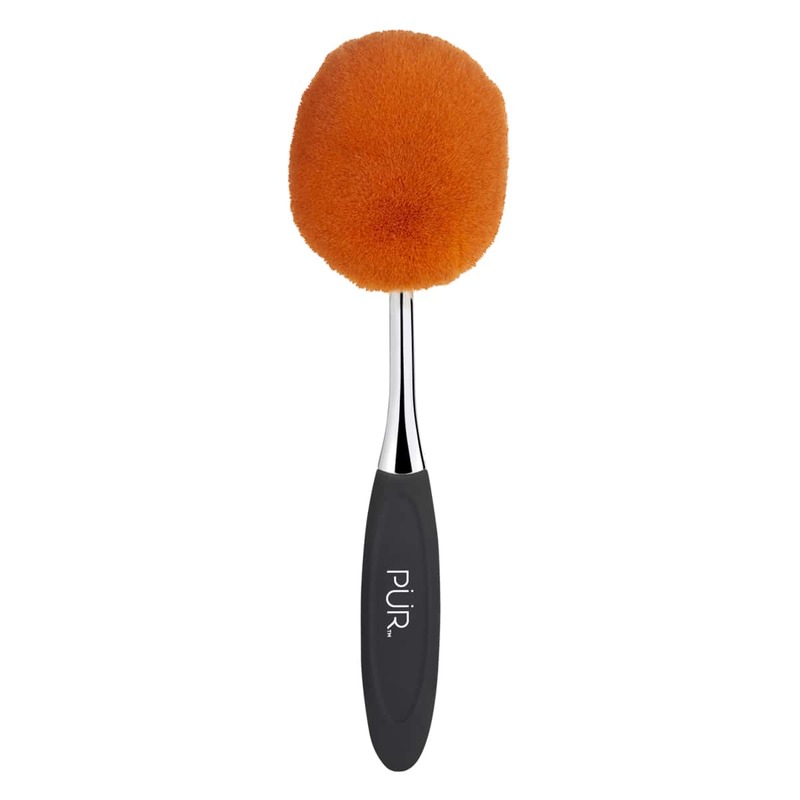 Apply 4-in-1 Pressed Mineral Makeup* across forehead, cheeks, nose and chin using the Chisel Brush. * For added radiance, apply highlighter* to the high points of the face, including cheek bones, center of the nose and Cupid’s bow. SPF 15 blocks 93% of UVB rays that cause aging and discoloration. Bought this foundation from amazon before the bottle had changed and it was amazing, however, with the new bottle seemed to come a new formula. Coverage is not as good and seems a bit runny. It’s very light. I love that however it doesn’t last all day. I try changing my primer. Other that it’s just enough coverage. I can't believe how great this foundation still looks at the end of the day! I have 2 favorite shades (medium dark & golden dark) that I use depending on the time of the year. I would definitely recommend this product. I love it. Goes on smooth and does not look cakey. I wish there were more colors but I stick with the blush Medium. The golden medium is to dark so I use the blush Medium liquid and then the Golden Medium powder and it works. I’m very happy with my 4-in-1 liquid foundation however the new packaging is a disappointment. The previous one did not cause any waste but this one is picks up too much foundation and it spills over the sides when removing the applicator. They should have kept the original packaging. It also contains less foundation than the previous one although the bottle is taller. Not to much. Just right. I love it. Just enough coverage. I have used many brands over the years and this is the one I have stuck with and will continue to do so. Product is light weight. Applies easily. However, it doesn’t provide much coverage. Best foundation! Goes on easy and stays on. Excellent for those that have sensitive skin. So glad the golden medium has returned! Please don’t discontinue it again! This is my favorite foundation!!! I worked at a cosmetic counter for 11 years at large department store, “where you expect great things “ This was my #1! 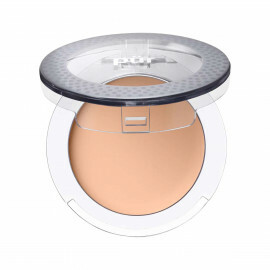 Perfect coverage, long lasting, good for your skin and spf15. 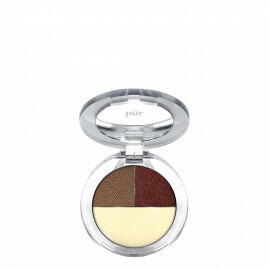 Face extremely oil, touch up with 4 in1 powder. Perfect cocktail!! Over the years I have tried many but nothing compared to 4 in 1 foundation. This is the best makeup ever! It goes on great and Stays on! I especially like it when we travel and I look a-ok whenI arrive. I would encourage anyone to try it. I keep a handy supply on hand . Never want to run out!!!! 4 in 1 liquid foundation is great. Love the product, but a bit darker than the last time I ordered. Solution? Next order, I will go a shade lighter! This is truly an amazing foundation. I am unable to find it anymore. Golden medium. Your new makeup is not compatible So Ive gone to Clinique. Still I am not satisfied. I purchased this foundation about 2 yrs ago. The bottle didnt have the color on it so now I dont know what color I had and it was perfect. I love this foundation but cant seem to find a store that sells it for me to try it on. I initially bought it from Kohls but they only sell the Bare it All 12hr 4in 1 in a tube. I dont like that one. What store still sells the liquid? If I order the wrong color online can I return it? I really enjoy this foundation! They are the only foundation that match my skin tone. Loving how they make my skin look. I love the benefit of wearing it all day...I have combination ans sensitive skin(oily on my forhead, nose and chin) it get alittle oily all I have to do is dab with a tissue and Im good to go. They really do last up to 12hrs without needing a touch-up...yes I had been experimenting. They are light and breathable..I had forgotten Im wearing them few times! Although, the foundation doesnt cover my dark spots well, even though I use the 4-in-1 concealer..they all made my skin look beautiful. I even get compliments! Awesome makeup! So light weight and goes on perfect. Highly recommend. I was very eager to try this foundation but unfortunately the lightest shade is incredibly dark. I'd love to give this 5 stars or anything higher but I am unable to try this product without looking like an oompa loompa. I hope that PUR can come out with more foundation shades so people can experience and love this makeup. 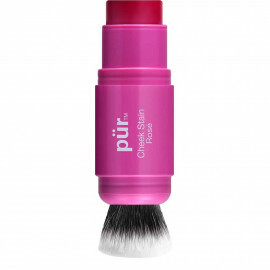 I absolutely loved this product and will continue to use it as my everyday makeup go to! 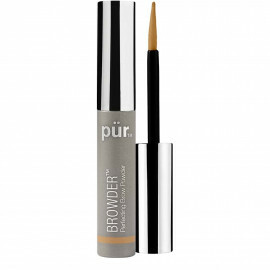 This product was lightweight and covered all my dark circles without having to use an additional concealer. I have very oily skin and I was impressed with how my face stayed with a matte finish. this is my second time purchasing this, 10/10 would recommend! only thing is, if you have oily skin like i do, bake with setting powder & you're good to go. I ordered “tan”. Production is good, but “tan” is dark for me. The “Golden Medium” powdered was perfect. Shipping was as scheduled. Service was great, I called in and the receptionist was very nice, her answers satisfied my question. I am happy with Pur’s production and its service. I also just ordered Tan because Golden Medium was not available. It is definitely darker and for some reason it has a horrible smell to it, almost like it is an old bottle that has sat for a while. I've used this makeup for a couple of years and it has always had a good smell to it. Makes me feel confident and great coverage! Feels light on the face which is the best part! What happened to Golden Medium??? This shade is my summer color. I Just accidentally bought tan as its the next color up from my winter color and it is way too dark. Now I'm stuck with a color I can't use and my color is nowhere to be found! Otherwise, Pur is the only foundation for me. I tried so many others while it was off the market and nothing compares. I feel like a model with Pur on. It makes me feel amazing. The coverage is incredible. The Ulta I usually get my fab Pur Liquid foundation from told me that the Liquid foundation no longer existed because the "Bare it all" replaced it. But for me it just wasn't the same, so I was overjoyed two months later when I learned that it does exist! So although I'm a little rusty with my application, I feel like me again...in my 4-in-1. I have used this foundation since it was first introduced here. I tried to purchase the blush medium during bogo and it was not available. I am down to the last of my product and it looks like this product is not coming back. Too bad I do not like the new stick foundation so I will have to find something else to replace this product. I have tried other liquid foundations in the line but this was my favorite . My all time favorite foundation. Perfect match for me. 5 Years Straight Using This! I just came here because I got an email for BOGO makeup only to find that my Pur 4-in-one "light" is no longer available. This one matched me and I've used this product because I have very light, splotchy, greasy skin and this is the only thing that I like. Please bring it back!!! It's hard enough finding natural makeup that is light and matches. Please restock this product ASAP! I purchased this foundation, based on the rave reviews. Unfortunately, the shade I purchased (Golden Dark) is too dark. But it provides beautiful flawless coverage. It feels light. I was sooo bummed when I applied it and saw that it was too dark. But, I think the Golden Medium would be perfect. Unfortunately, you don't have that shade in stock. Will you be bringing it back? Best foundation ever! Finally found THE ONE for me and when I needed more, it was out of stock at retail store! Had to wait about 6 months for this to come back in stock ON -LINE ONLY... Bought two!! Perfect coverage applied with a brush. Please, please, please bring it back!!! I agree with the reviews - this is the best foundation I have ever used. It is light-weight and non-greasy, but covers well. Please bring it back to stores! Don't understand why you would discontinue a product like this! It covers nicely and feels great! It looks as if I'm not the only one! Please bring it back. When will it be back in stock?? I love this foundation. I read the reviews below mentioning discontinuation, please tell me that isn't true! Amazing. Please put back in stores. Love this foundation and have been searching everywhere for it. Please put back in stores!! It matches my skin perfectly. I get compliments all the time about how amazing my skin looks. 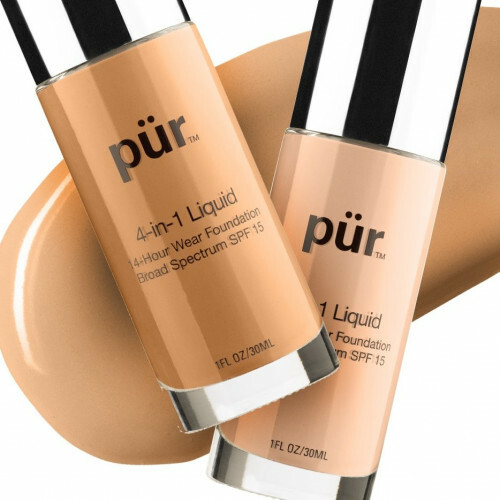 I have been using PUR 4 in 1 Liquid Foundation (Golden Medium) for 4 yrs and I love it - great product, selection of colors, and price. I don't understand with so many great reviews and high demand you would discontinue it. I have tried other PUR foundations and they are not the same quality they tend to be thick and drying. I hope you decide to bring it back in stores and online. Five stars for 4 in 1 Foundation but zero stars for discontinuing. I wear the 4 in 1 liquid foundation in deeper shade. I always get compliments on how great my skin looks and how my makeup looks so natural. The women at my job keep asking what foundation I have on. And it last through out the day. There is some transfer from getting a little oily during the day but not much. I hate that PuR stopped selling this foundation in stores. It's a little inconvenient to wait for shipping. Put this formula back in stores! I've been wearing this for the last 6 years. I have no complaints. This is the best foundation I have ever used. Please don't discontinue!!! I've got very sensitive skin and this is the only foundation that works for me. My dermatologist even commented on how good my skin looked and I'm 51. Please keep this product!!! Please DO NOT discontinue!! I have been using this foundation for years and I love it. Now I’m having such a hard time finding a replacement. I tried Bare It All but it’s just not the same. The tones are off. With 4-in-1 Liquid I was always a light tan, so I ordered light tan in Bare It All but the tone is so much darker. I hate it. I can’t fin anything that matches as well as the 4-in-1. This is the perfect foundation! Now its gone, I'm so disappointed.. It's irreplaceable. I'm off to find the next best and unfortunately its not PUR. Please bring this foundation back! I love the 4 in 1 liquid foundation in Golden Medium but can't find it anywhere. I tried the Bare it All and it was sticky and heavy. I am now using the Liquid Veil. It's OK, seems to fade by the end of the day and seems a little oily on my forehead. The 4 in 1 liquid foundation, was lightweight, great coverage and looked the same at 10 pm as it did at 7 am.